Developed by avid pilots, the C100 Aircraft Anchoring System provides superior protection for aircraft from damaging winds. 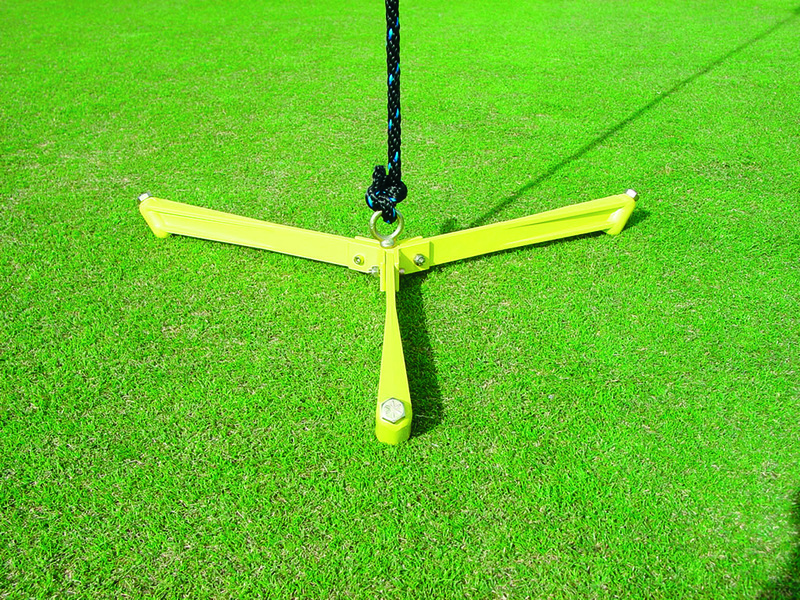 The C100 System exclusively utilizes the Claw®, a patented lightweight, high-strength earth anchoring system. 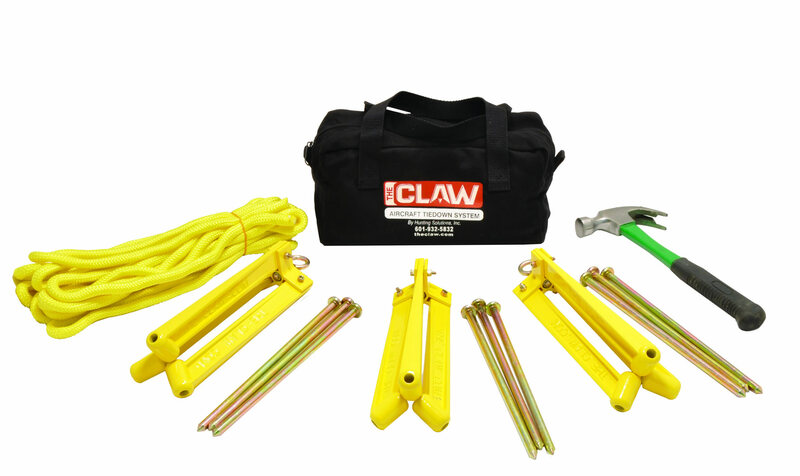 The C100 Kit includes one carry bag that stores three Claw® anchors, nine spikes, one hammer and 30-ft of rope. Its total weight is just 8 lbs. 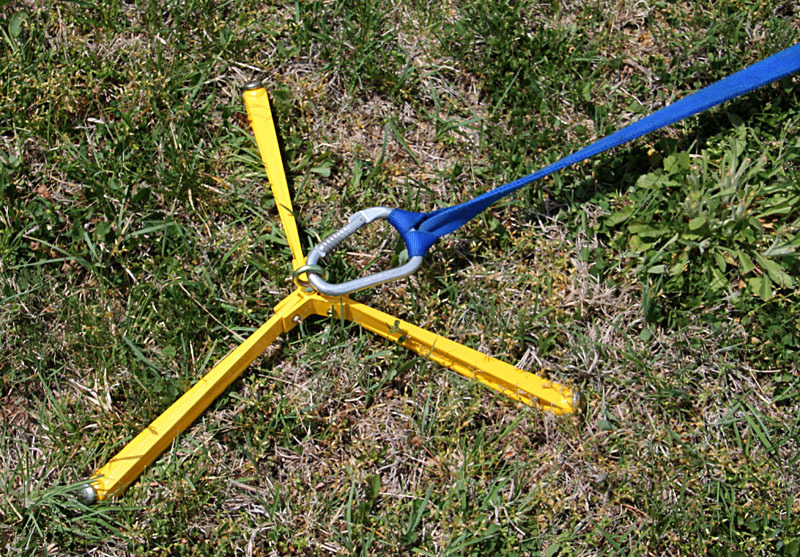 Each one of the three Claw® anchors can withstand 1,200 lbs. of force, yet, requires little effort to install or remove, making it far superior to any other aircraft anchor system. In addition, its simple, low profile design, helps reduce tripping hazards and will not puncture tires. 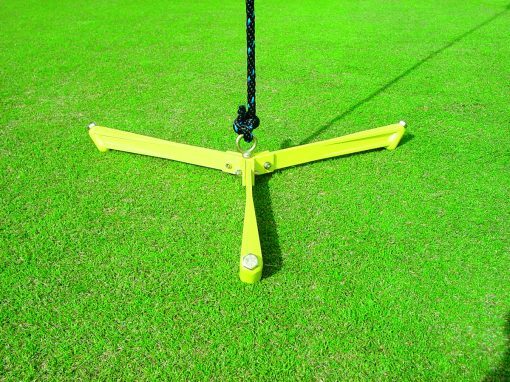 And unlike other anchor systems, the Claw does not damage the turf. 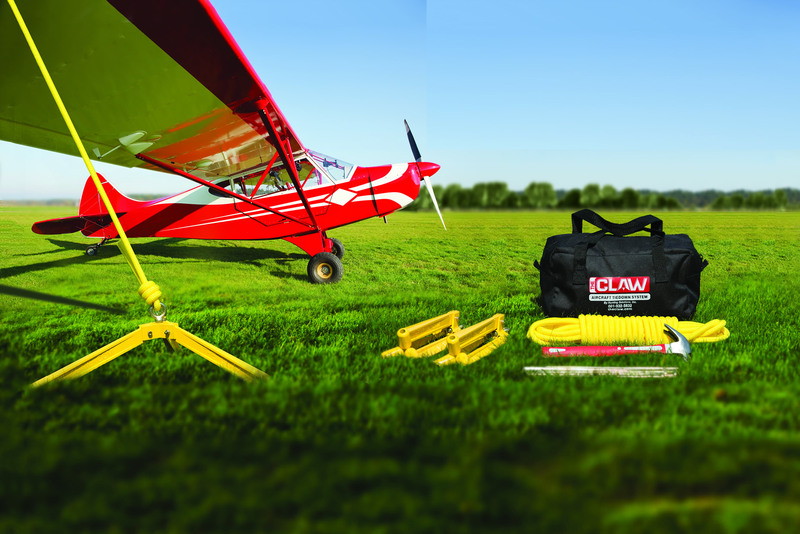 The Claw is ideal to provide temporary or long-term security for your aircraft. Tents, canopies, pets, boats, hurricane preparation, satellite dishes, antennas, balloons, playground equipment or anything you wish to anchor to the ground securely. 1 Carry bag that stores 3 anchors; 9 spikes; hammer; 30-ft rope. Total weight 8 lbs.